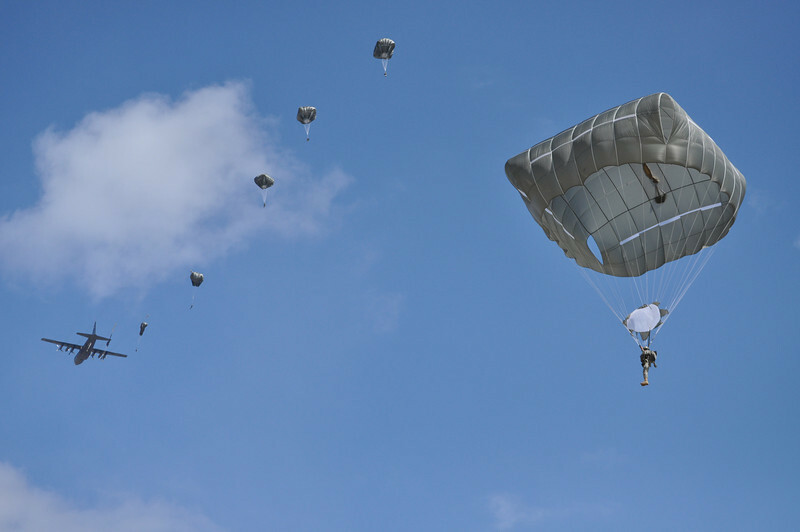 FORT BENNING, Ga. Col. Jon Ring, 1st Battalion, 507th Parachute Infantry Regiment commander, was among the first paratroopers jumping with the Armys new T-11 parachute at 11 a.m. March 15. The new T-11 parachute will become the official parachute of the U.S. Army Airborne School. Students currently in Airborne School conducted the first official jump with the T-11 parachute as part of their three-week training course. The students conducted all training in the first two weeks with the T-11 to fully prepare them for their jumps. The T-11 parachute will be replacing the T-10 parachute, which was designed in the 1950s. The average paratrooper at that time, wearing all of their combat gear, weighed less than 300 pounds. In todays battlefield, the weight of a paratrooper wearing the average combat load has increased to more than 400 pounds. The new parachute has been modified according to the change in todays military fighting force.